When Astellas Pharma shuttered the labs of OSI Pharmaceuticals last week, no one felt that loss as acutely as the residents of Long Island, NY. OSI, famed for its lung cancer drug erlotinib (Tarceva), had shown that it was possible to create a large pharmaceutical company on Long Island. Not only was it the anchor tenant in the Broad Hollow Bioscience Park, a complex on the Farmingdale State College campus that gives prospective startup biotechs a place to conduct experiments, but it was also the backbone of a tiny, evolving cluster known as the Route 110 Bioscience Corridor. That was all wiped away when Astellas, which acquired OSI for $4 billion in 2010, announced plans to shut it down on May 13. But a group consisting of an ex-politician, a few venture capitalists, and some local research institutions is trying to prove that when one door closes, another opens. 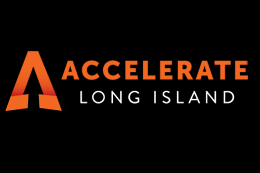 They have banded together to form an initiative called Accelerate Long Island, with a big plan in mind—creating an innovation ecosystem on the island. For those unfamiliar, Long Island contains a few of the key elements to bring such a thing together. It has large, well-known research institutions (the Feinstein Institute for Medical Research, Cold Spring Harbor Laboratory, and Stonybrook University) that have produced a number of biotech spinouts, and VC firms (Canrock Partners and Topspin Partners) on its home turf, not to mention a close proximity to the financial muscle of New York City. But OSI, which employed more than 100 at its research center, according to Newsday, was its biotech anchor. 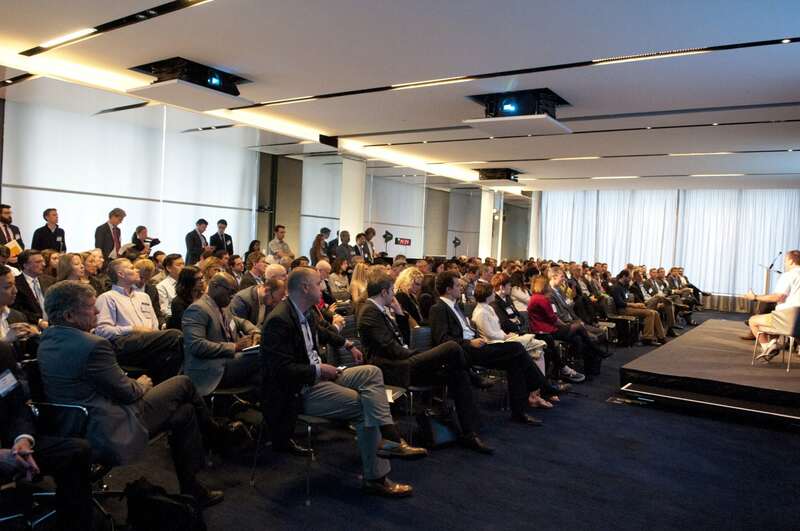 That makes the task all that much harder for Lesko, who has been at the forefront of a movement to spur the innovation in Long Island for some time and became Accelerate LI’s executive director in September. Previously the supervisor of Brookhaven, New York state’s second largest town, Lesko says he, like many other politicians, “pounded the table” several times trying to galvanize an effort to build a Silicon Valley-type cluster in Long Islanders’ backyard. “As you well know, that is not anywhere close to as easy as it sounds,” he says. Even so, Lesko is giving it his best shot. While he was still the Brookhaven supervisor, he brought together the main regional business, research, and institutional leaders, hired a bunch of consultants from Silicon Valley, and spent about a year to try to figure out a strategy to develop an innovation-based economy. The plan they came up with was to create an overarching, non-profit, regionally focused organization that would commercialize the research out of Long Island’s major research institutions, and help the area join the national movement of developing entrepreneurial ecosystems, according to Lesko. So the presidents of Stonybrook University, Hofstra University, Brookhaven National Laboratory, Cold Spring Harbor Laboratory, the North Shore-Long Island Jewish Health System, CA Technologies, and a local venture firm (Canrock Ventures), law firm (the Farrell Fritz Law Firm), and even a foundation (the Rauch Foundation) and auditing firm (Ernst & Young)] came together in January 2011 and created Accelerate LI. The number of different players involved reflects the sheer size of Accelerate LI’s undertaking. Lasko and his group are trying to do everything: seed funding the startups without taking an equity stake; mentoring prospective entrepreneurs; bringing the entrepreneurial community together; and getting prospective company creators in contact with the area’s biggest business leaders. The funding, for example, was its own challenge. One of Accelerate LI’s co-founders, Canrock managing director Mark Fasciano, started a private, $750,000 seed fund called the Long Island Emerging Technologies Fund, and Accelerate LI added to that by securing a $500,000 grant from the state of New York through from one of Governor Cuomo’s Regional Economic Development Councils, public-private partnerships focused on helping grow the state’s economy. The plan is for both funds to put matching amounts, up to $100,000 total, into each startup that they decide to invest in—without grabbing any equity. The companies would use that cash to protect their intellectual property, hire staff, conduct early-stage experiments, or rent out office space, depending on the business model. Those two funds are the first two funds in the history of Long Island targeted towards early-stage technology, according to Lesko.